The Terra Hogan 2P Tent from Vaude is a wise update from previous Hogan models. It features lightweight but durable ripstop fabric and a super strong structural design that will stand up to hefty winds in wild settings. The exoskeleton design makes it one of the fastest style of tents to pitch, simply anchor the pole ends and wrap the elastic cord over the poles and secure it with the hook. Perfect when time is of the essence and shelter is required, it also ensures less time spent putting up your tent and more time spent relaxing enjoying the view you've just hiked a day for. 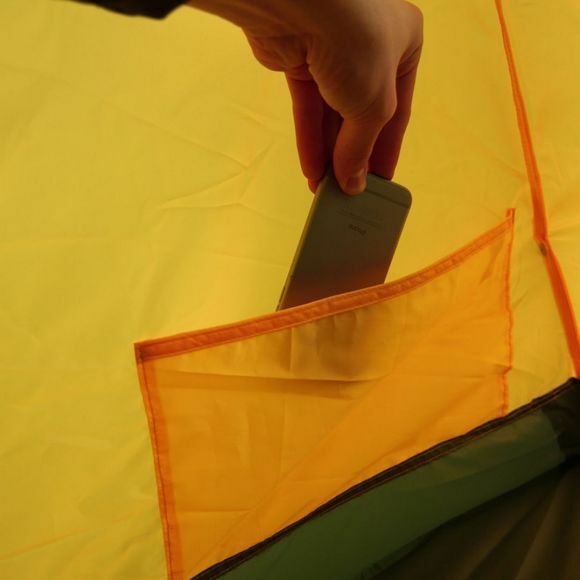 The front door has a two way zip which allows it to be fully opened when you are inside your tent, you can also just open the top section for better ventilation without sacrificing weather protection on those drizzly mornings. 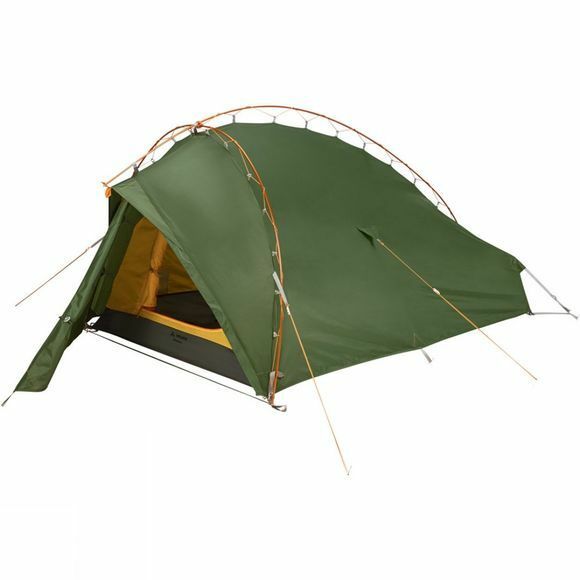 A well thought out expedition tent for those who love to explore regardless of the weather.